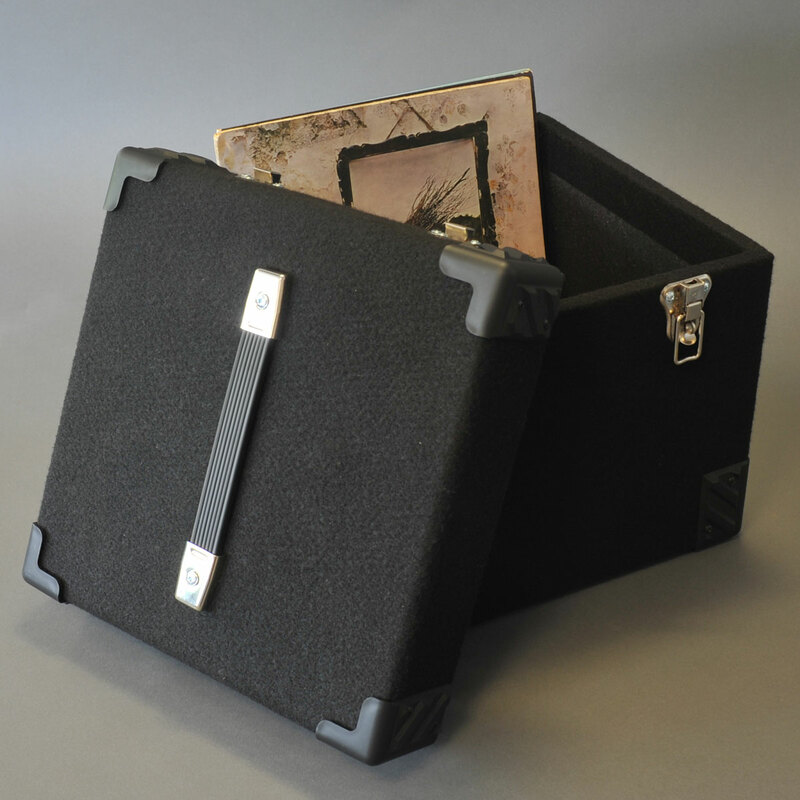 Black Material Finish (Wooden) – 1 lane – holds approx 100 records. With detachable lid. Size approximately external 37.5cm wide x 37.5cm height x 36cm depth. Internal 33cm wide x 33cm height x 33cm depth. 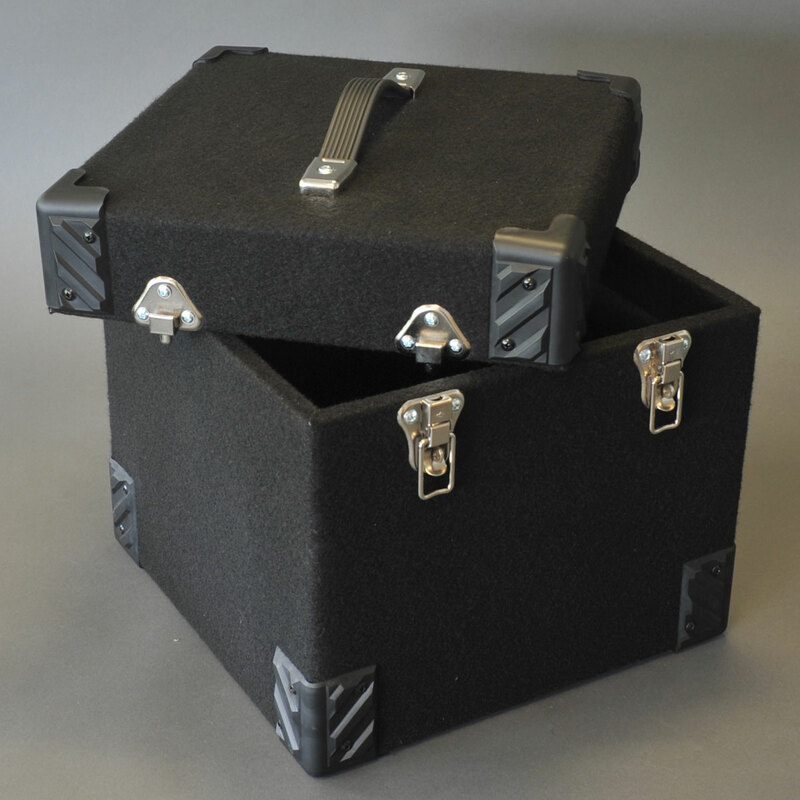 For robust storage why not try our fantastic handmade wooden cases, available in a black or grey material finish. 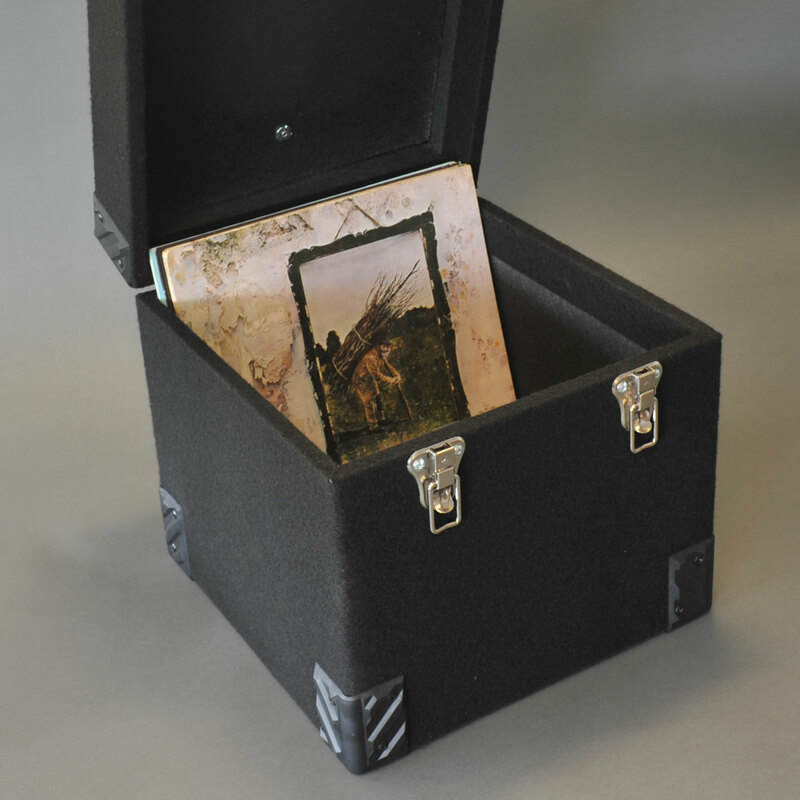 You will not be disappointed with this case. 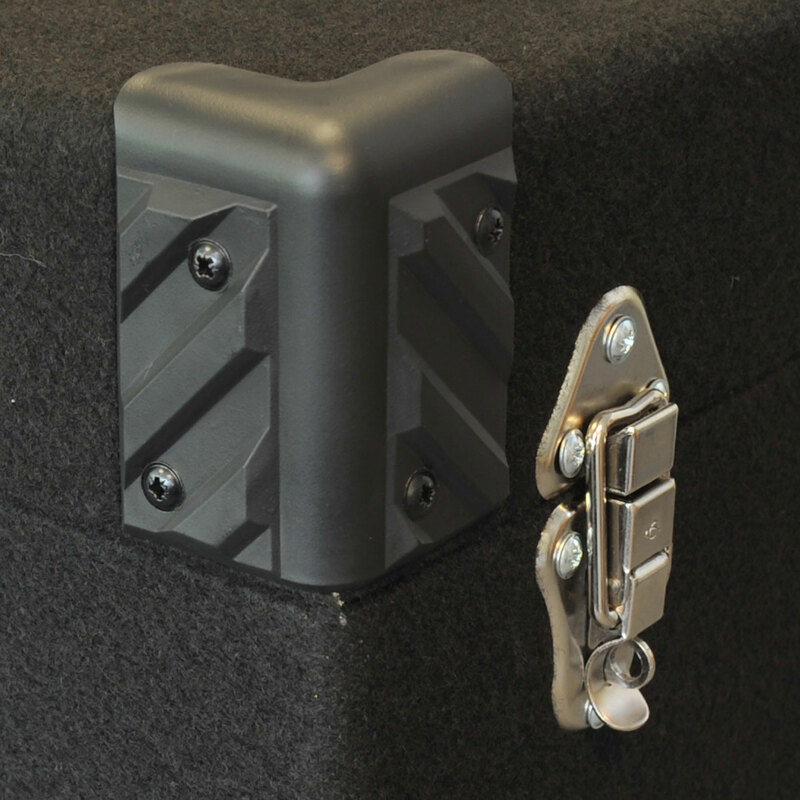 Made locally by an experienced specialist supplier these cases are built to withstand long term storage or day to day heavy usage. 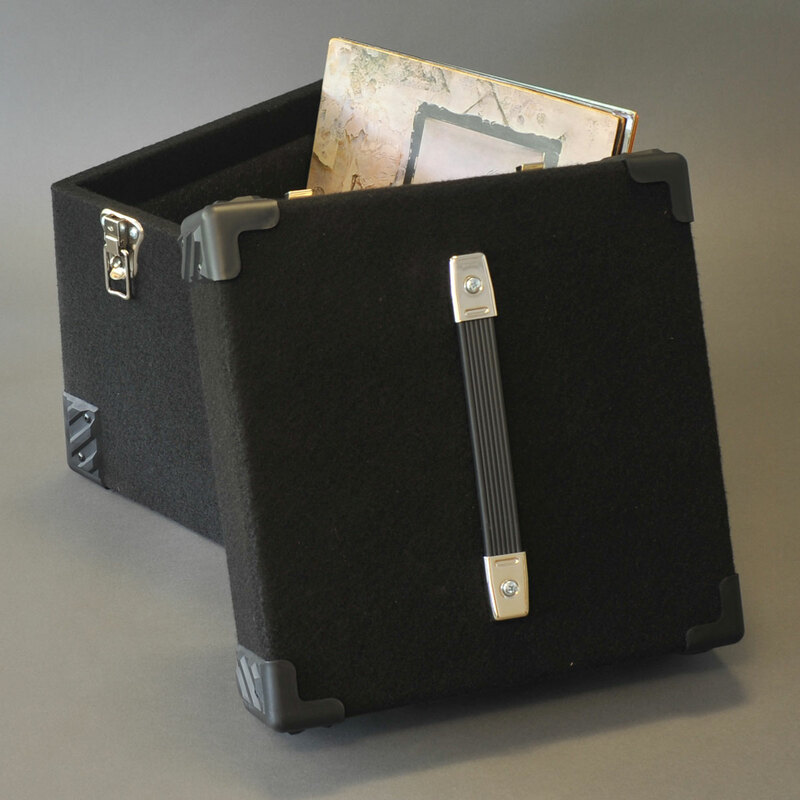 For albums we recommend a box of internal dimensions 33cm x 33cm x 33cm. 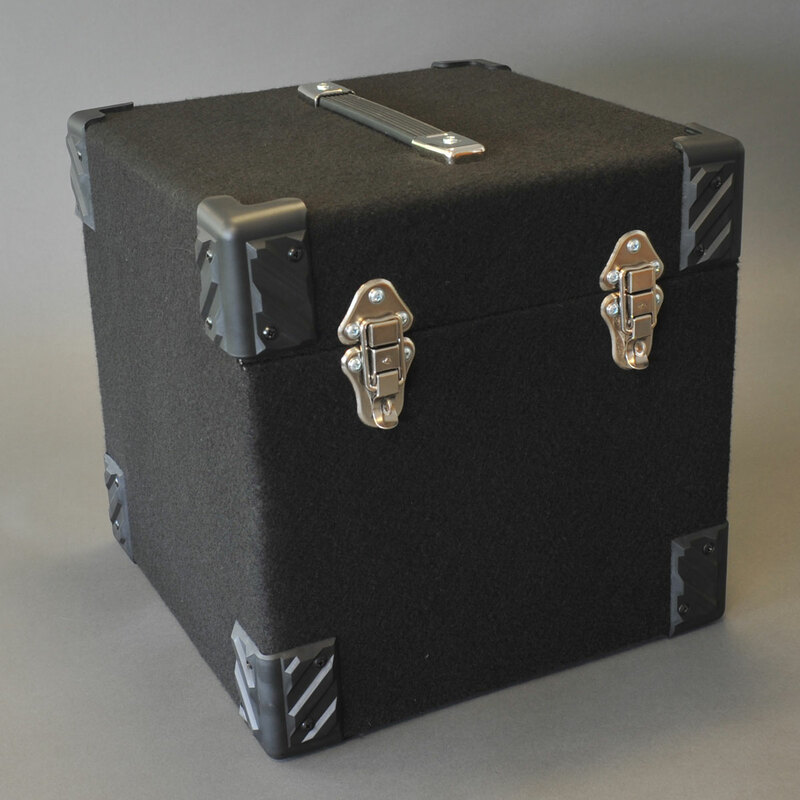 This has external dimensions of 37.5cm x 37.5cm x 36cm.